These women don't want to be the fairest of them all, and it's beautiful. This week, women around the world are celebrating being unfair. Yes, celebrating unfair. While the path to equality and justice normally inspires aspirations towards a fairer world, when it comes to beauty standards for dark-skinned women, the concept of ‘fairness’ can be more oppressive than liberating. That’s why black University of Texas student Pax Jones decided to create a photo series called ‘Unfair and Lovely’. The project takes its name from the notorious ‘Fair and Lovely’ face cream – a skin-whitening product primarily marketed at women in Asia. Featuring two South Asian women, Pax Jones' photos celebrate darker skin in a world that systematically privileges lighter skin tones. It’s always inspiring to see people finding comfort in their own skins. The #UnfairAndLovely movement is especially powerful because it highlights a problem in so many cultures around the world. The roots of “colorism” are deep and wide. For generations, non-white people across the world have been told that the fairer your skin, the better. In many cultures, the "lighter is better'" concept predates interaction with European cultures (traditionally "white"). Colorism was historically as much about class as it would later be about race. Poor people that worked outside, and inherently in the sun, would develop darker skin because of it. People who worked indoors or not at all, would be in the sun less and end up with lighter skin. 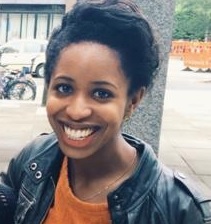 This is how lighter skin was seen as "richer" or "higher class" and has stayed in many cultures as desirable outside of the racial idea of white skin vs. dark or black skin. In many ways the focus on shade of skin color is doubly oppressive. It was - and is still today in some places - used to marginalise darker-skinned people by people of their own race as well as those outside of it. Colorism is a messy, confusing, and downright ugly problem. One of my most distinctive memories from primary (elementary) school happened when I was about 10 years old. My teacher asked why I always wrote about white, blonde and blue-eyed kids in the stories I submitted, when I was neither white, nor blonde, nor blue-eyed. Harsh. I didn’t have an answer then, but the experience of embarrassment and confusion at the time has always stuck with me. In hindsight, it opened my eyes to the invisibility of people of colour in mainstream culture - and how easy this is to internalise. At the same time, I grew up connected to a Nigerian culture that celebrated what is colloquially referred to as ‘yellow’ skin, reminding me that your experience of race does not only depend on the colour of your skin, but sadly, on the shade of it too. The Unfair and Lovely campaign is a powerful and beautiful movement against attitudes that try to keep darker-skinned people in the shadows. 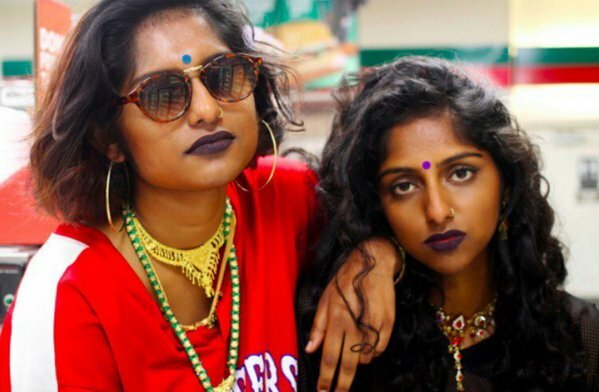 Although the latest response has predominantly stemmed from South Asian women, the founders have stressed that the campaign is for all women who have felt the sting of colorism. It’s inspiring to see women celebrating their colour and overcoming the prejudice steeped against them to create a fairer world – ‘fairer’ in the truest sense of the word.